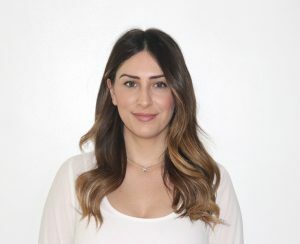 Maral Piloyan, MS RDN is a Registered Dietitian Nutritionist. She completed her dietetic internship and received her Master’s in Nutritional Science from California State University, Los Angeles. Her love of food and cooking began at a young age, and blossomed into a curiosity of nutritional science, pathophysiology, and the different relationships various cultures have with nourishment. Maral earned her Bachelor’s degree in Anthropology from the University of California, Los Angeles and has a unique skill in blending social science and biological science. Maral also has a passion for teaching. She has volunteered in various settings over the years, teaching the importance of goal-setting, intuitive eating, and the joy of exploring new foods and introducing variety into one’s life. She also enjoys photography and creating recipes, two hobbies she combined by creating a blog and sharing an example of a healthy, nonrestrictive diet. Got a Question for Maral Piloyan?